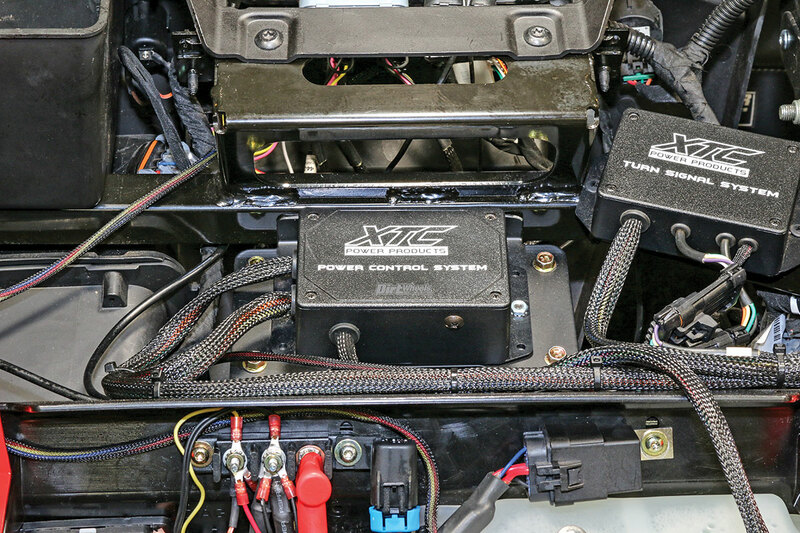 The XTC Power Products Plug & Play four-switch system comes with all the parts needed for the install of their kit, not the extra wiring for your components. One of our editors has been building a project Polaris RZR XP Turbo that will be featured in Dirt Wheels soon. Installing everything has required many hours. We’ve had to collect parts and persuade things to fit correctly. Modifications have been made, while blood, sweat and tears have been shed, but none of those problems were from XTC Power Products. The Power Control module is the bulkiest part of the kit. There should be enough room for it under the dash. Wiring can be relentlessly tedious if you are not an aficionado or have the patience of a sloth. The build has multiple lighting upgrades, a communications system and more, which requires new switches and a lot of wiring. 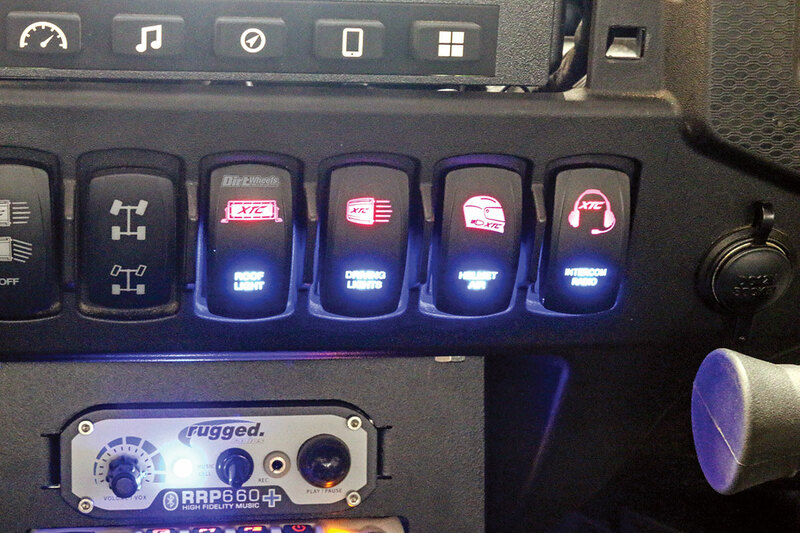 Instead of banging our heads against the wall, we went to XTC Power Products for its $329 RZR XP Plug & Play four-switch Power Control system. The fuse block will also take up some space, but it is a very beneficial piece of the puzzle. Without this kit from XTC, we would have had to run wire to every new switch from the product, along with running a fuse block and a lot more. The kit comes with four illuminated Carling switches that are all pre-wired and connected in the loom. Each switch has a 20-amp high-powered relay switch circuit and a fuse. There is an eight-gauge power cable with a 50-amp circuit breaker that connects to the battery. A terminal strip is included in the Power Control switch system. You simply run the positive wire from the four items you have installed. The XTC Power Products kit instructions are very easy to follow. It took us about an hour to wire up our kit. You will have to cut out the dash-switch locations to mount the new switches into. You can upgrade to switches that have picture symbols of the installed items on them, such as a light bar, rock lights, etc. You can upgrade to lighted switches that have designs and names of the products you are connecting them to. 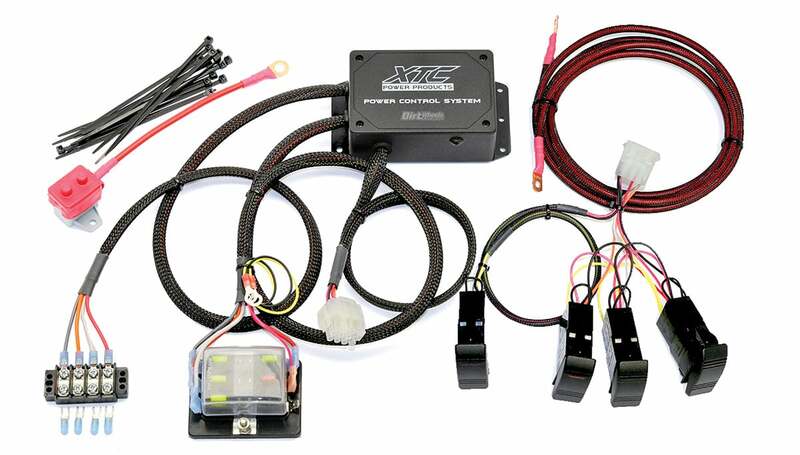 XTC Power Products makes many different types of wiring kits. One of their best sellers is its turn signal kit with a horn. 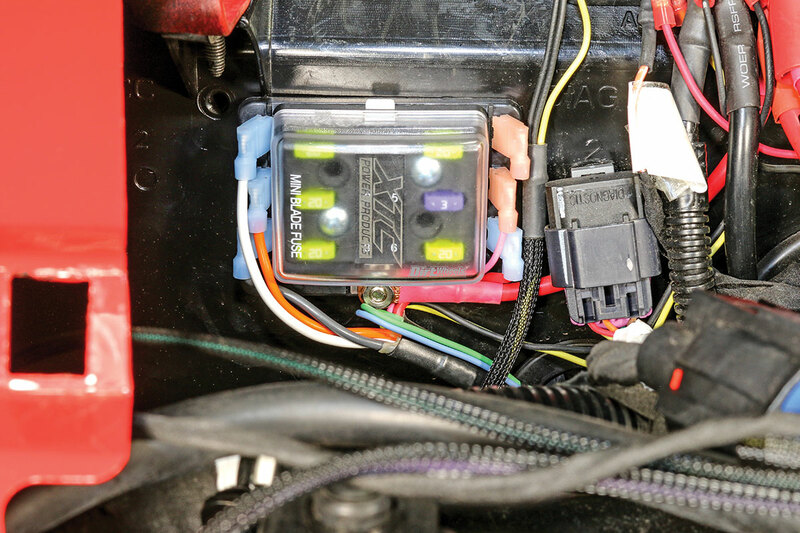 They have plug & play wiring kits for Can-Am, Yamaha, Honda and more. We are impressed at the high quality of their products and the ease of installation. The four-switch kit took out the guesswork and difficulty that comes with wiring, and it cut installation time down by over half. We highly recommend XTC Power Products to any UTV enthusiast looking to add lighting and other electrical systems to their machine. Go to www.xtcpowerproducts.com or call (480) 558-8588 to learn more about their selection and order some for your rig! Buggy Whip Inc 50th Anniversary Build!